This week’s list is full of plenty of feel-good flicks, with Pixar animations and comedy classics making up the bulk of volume 24. There's a couple of interesting horror and crime flicks thrown in for good measure, but this week our objective has been to get you to watch literally anything on Netflix that could make you forget about The Human Centipede 3. I watched The Human Centipede 3 this week, and honestly, it kind of made choosing the films for today's list incredibly difficult. Utterly repulsive in every way, the movie kind of made me hate movies for a few days. While it might be funny in a gross-out way with some friends, watching it alone in a flat while you could be doing, well, literally anything else, can only end in some kind of terrible existential crisis. But once the depressing effect of The Human Centipede 3 wore off I was only more determined to find a selection of movies that could redeem the idea of cinema being good again. As a result, this week's list is full of plenty of feel-good flicks, with Pixar animations and comedy classics making up the bulk of volume 24. There's a couple of interesting horror and crime flicks thrown in for good measure, but this week our objective has been to get you to watch literally anything on Netflix that could make you forget about The Human Centipede 3. Though, with how much I've just banged on about it, I've probably only accomplished the opposite. "The saddest thing in life is wasted talent." While Robert De Niro has always been an undoubtedly mesmerising actor on screen, his chops when it comes to working behind the scenes have always been brought into question. 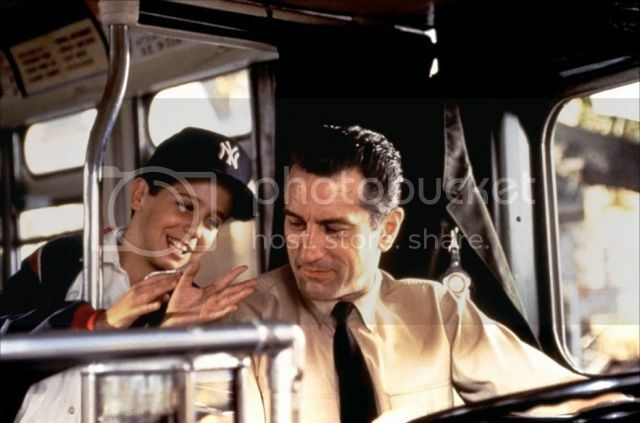 However, anyone who says the acting giant isn't capable of crafting a great movie himself clearly hasn't seen his 1993 directorial debut, A Bronx Tale. Setting up a narrative about a father who gets caught up with the mob in the '60s, De Niro's film is clearly inspired by the work of long-time collaborator Martin Scorsese, however there's enough unique flair and subversive twists to allow the movie to stand out on its own. It's not as tight as Scorsese's later pictures, but it's accomplished enough to deserve a place right alongside them. Similar to Peter Jackson's Brain Dead (and not just because they both originate from New Zealand) 2014's Housebound boasts the same pitch-perfect level of straight horror mixed with comedic beats. Although it starts off as a simple ghost story, as the film proceeds the narrative becomes increasingly pulpy, with a series of wacky twists and turns that serve to elevate the originally generic script to something much more innovative and unique. While not quite the golden return of comedy-horror that many critics hailed it to be, there's still plenty of fun to be found within the walls of Housebound. "The crew is dead, doctor. Your ship killed them." Horror films set in space have always been a bit hit-and-miss. I can't quite put my finger on exactly why, but for some reason, slasher films especially that take place off-planet have a tendency to look a bit cheap. From unconvincing effects to pretty shoddy makeup, these flicks rarely ever feel as scary or as epic as they should. 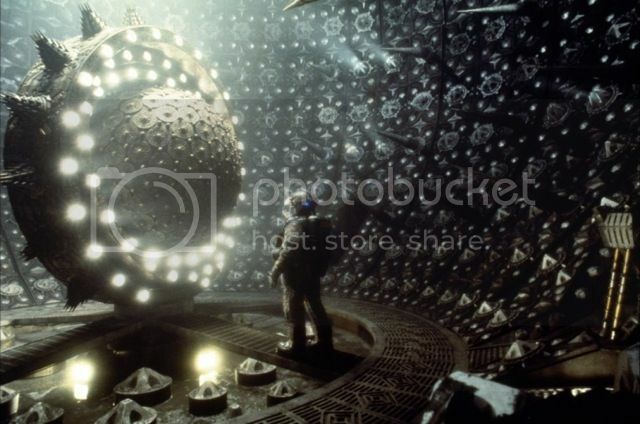 Event Horizon however, even with all these set-backs, absolutely nails its Hellraiser-in-space set-up, delivering an action-packed narrative that rarely wastes the potential of its inspired story. With inter-dimensional baddies, a quick trip to hell and a good dose of '90s sci-fi clichés, this one of a kind horror film does a potentially silly set-up justice. "Follow the sultry sound of my voice." Like Toy Story a few weeks ago, I shouldn't have to tell you why Monsters Inc. would make for perfect viewing this Sunday. Unlike that film though, you might not have seen this Pixar classic in a while, which gives you all the more reason to stick it on this weekend. 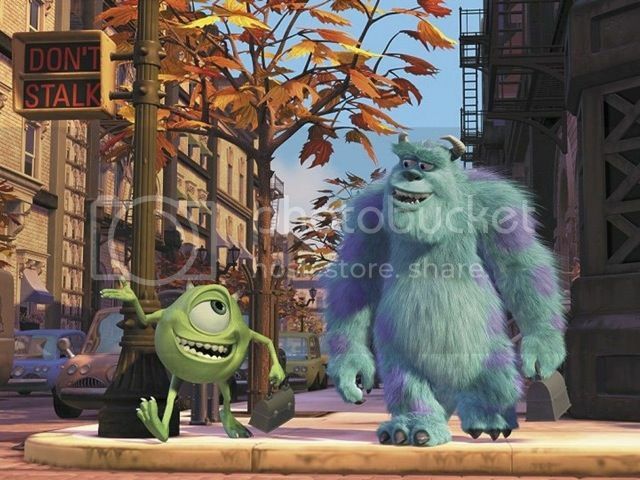 Nearly fifteen years later the quality of animation found in Monsters Inc. is still incredible to view in motion, which isn't surprising considering it more or less set the standard for effects at the time. But even as these visual features have become less impressive over the years, the film still remains a complete joy to sit through, with every joke, visual gag and character beat remaining just as impactful as they ever were. Party Time! Excellent! Is there a better way to end a Sunday night than with a screening of a feel-good film like Wayne's World? 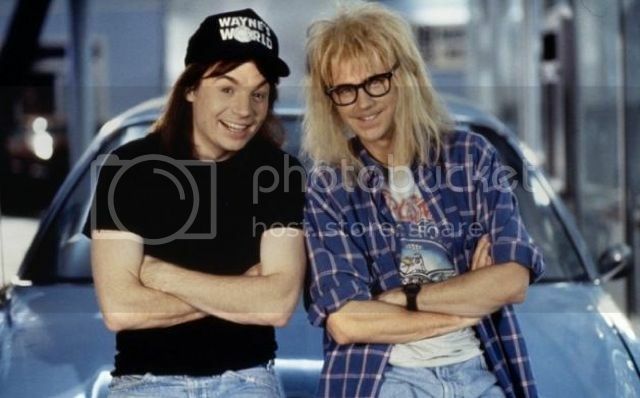 Born out of a Saturday Night Live sketch of the same name, Wayne's World managed to avoid succumbing to the tv-to-movie adaptation curse by creating a film that was arguably better than the sketch it was based on. Filled with timely pop-culture references, excellent slap-stick comedy and the best soundtrack, there isn't a better way to top off your weekend than with a comedy as irreverent as this cult classic.